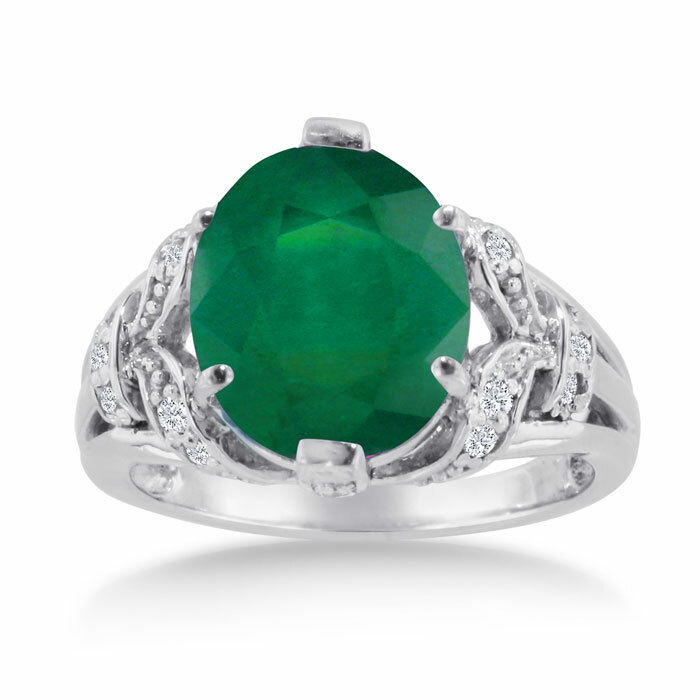 Beautiful oval shaped Emerald and diamond gemstone ring set in 14k white gold. 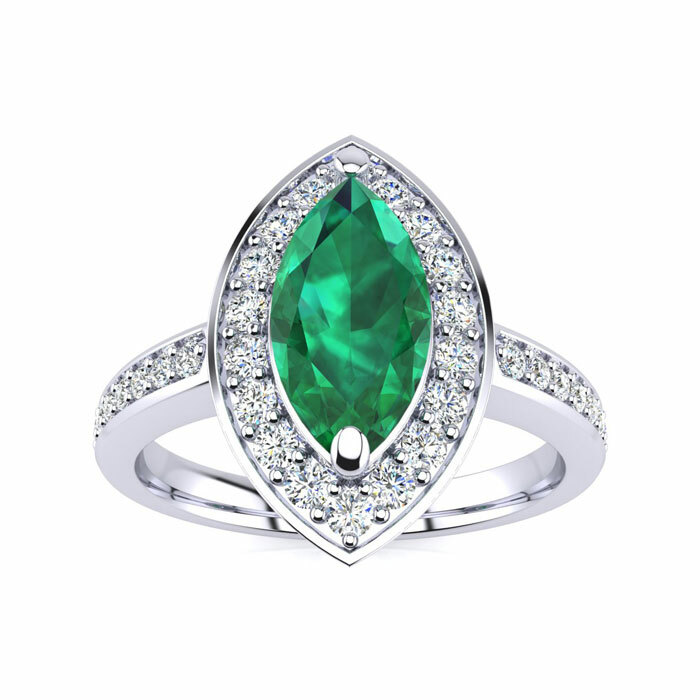 The oval shaped Emerald is 1 carat. Total diamond weight is 0.19carats, diamond color is I-J, diamond clarity is I2. 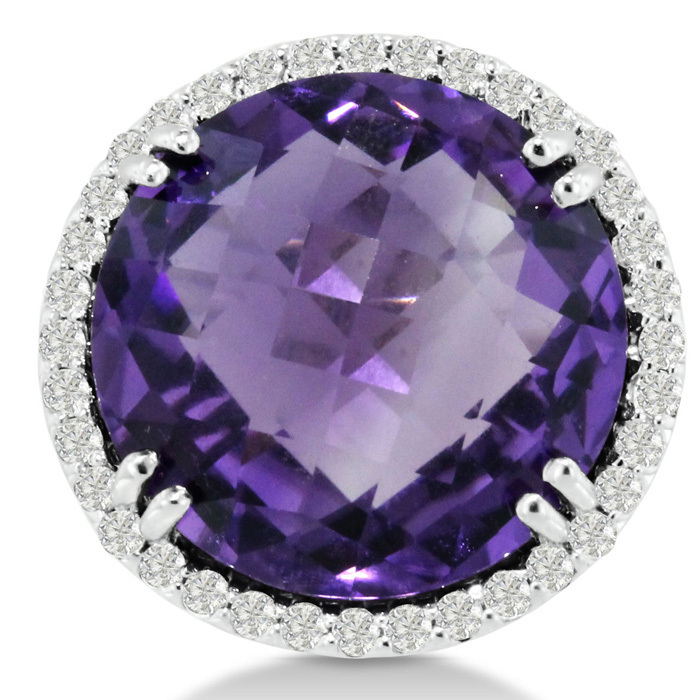 Total gem weight is 1.19 carats. Available in ring sizes 4-9.5. 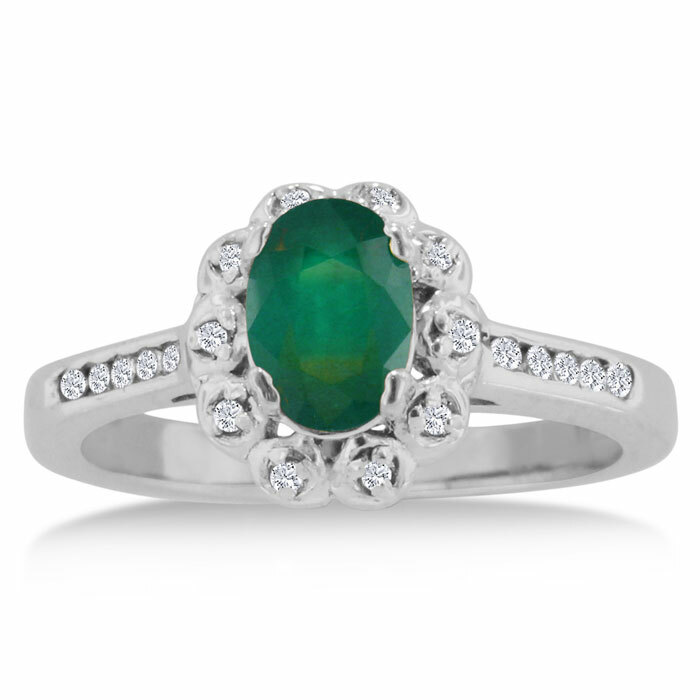 Beautiful marquise cut Emerald and diamond gemstone ring set in 14k white gold. The marquise cut Emerald is 0.50 carats. Total diamond weight is 0.23 carats, diamond color is I-J, diamond clarity is I2. Total gem weight is 0.73 carats. Available in ring sizes 4-9.5. 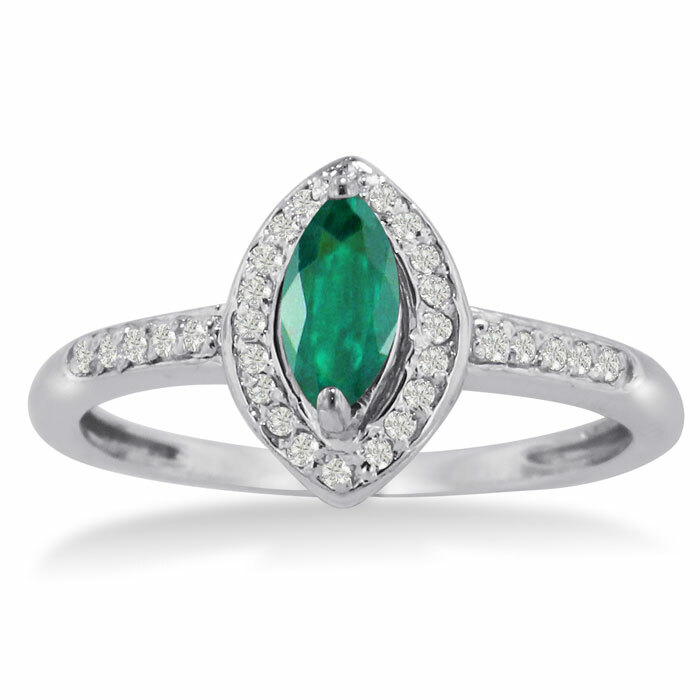 Beautiful oval shaped Emerald and diamond gemstone ring set in 14k white gold. 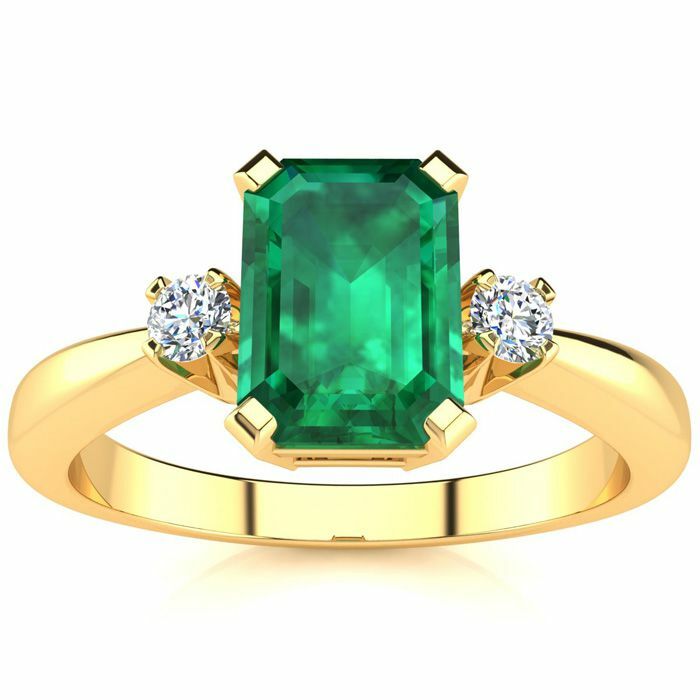 The oval shaped Emerald is 6 carats. Total diamond weight is 0.14 carats, diamond color is I-J, diamond clarity is I2. 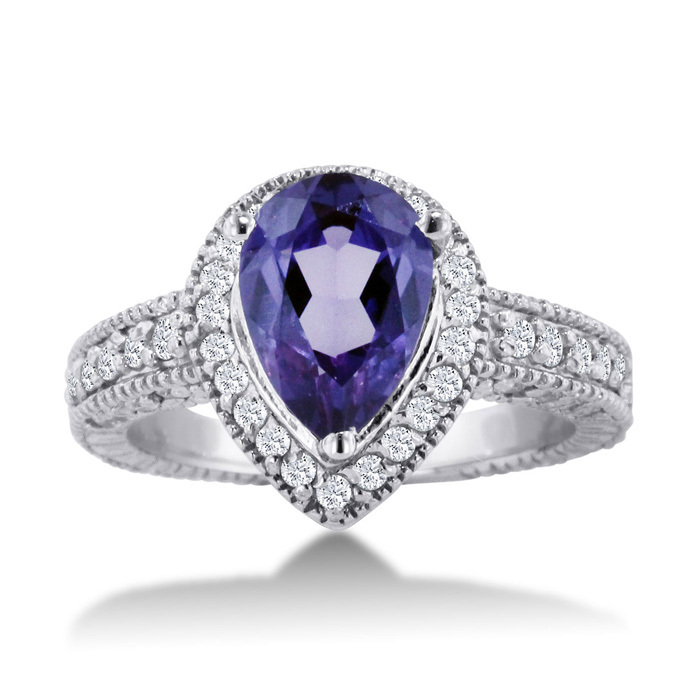 Total gem weight is 6.14 carats. Available in ring sizes 4-9.5. 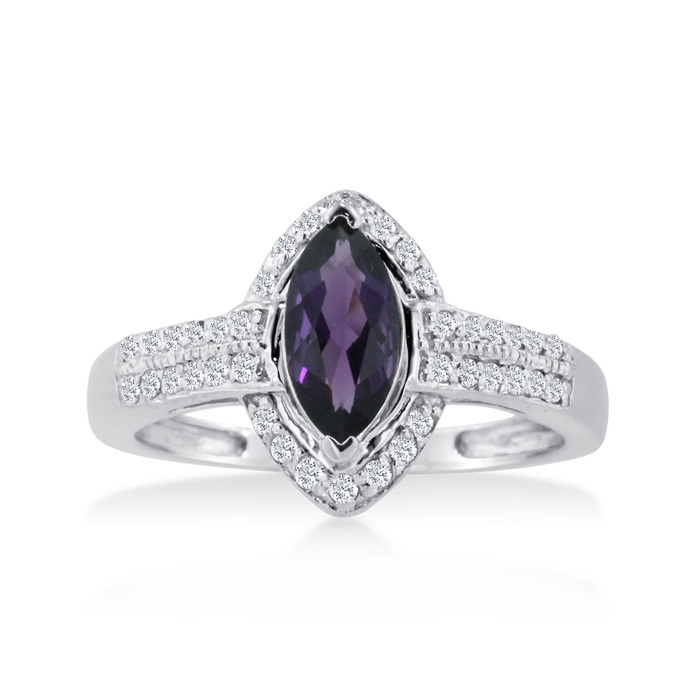 Beautiful oval shaped Amethyst and diamond gemstone ring set in 14k white gold. 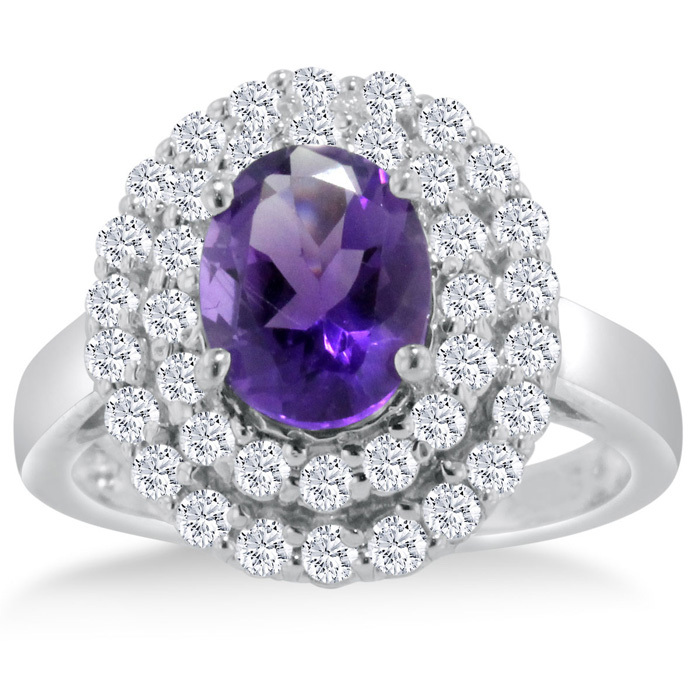 The oval shaped Amethyst is 1 carat. 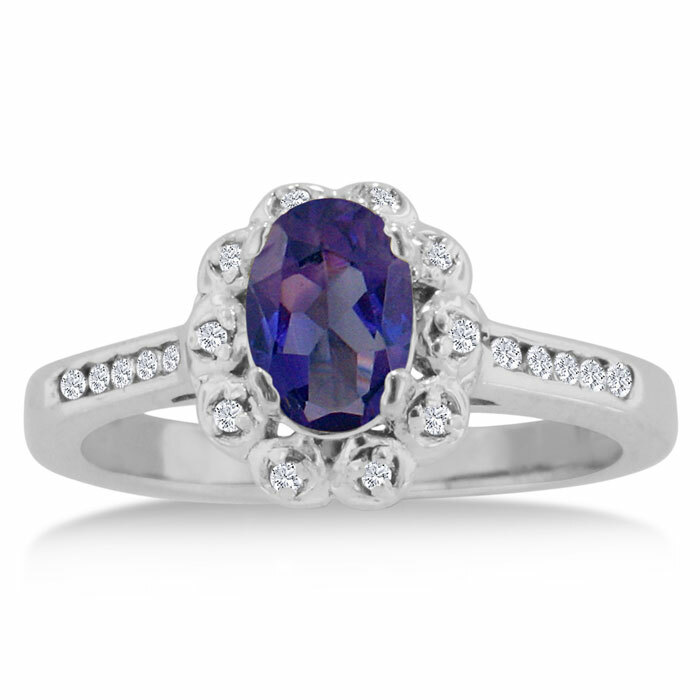 Total diamond weight is 0.19carats, diamond color is I-J, diamond clarity is I2. Total gem weight is 1.19 carats. Available in ring sizes 4-9.5. 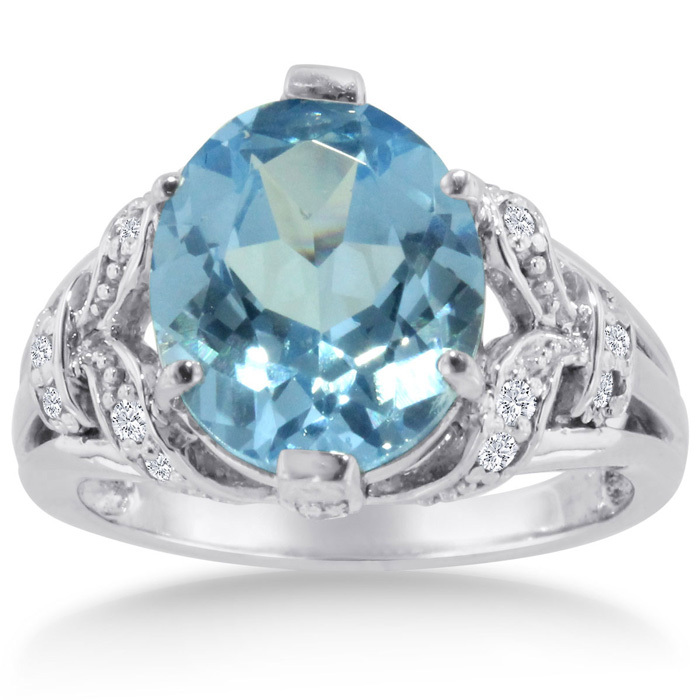 Beautiful oval shaped Aquamarine and diamond gemstone ring set in 14k white gold. 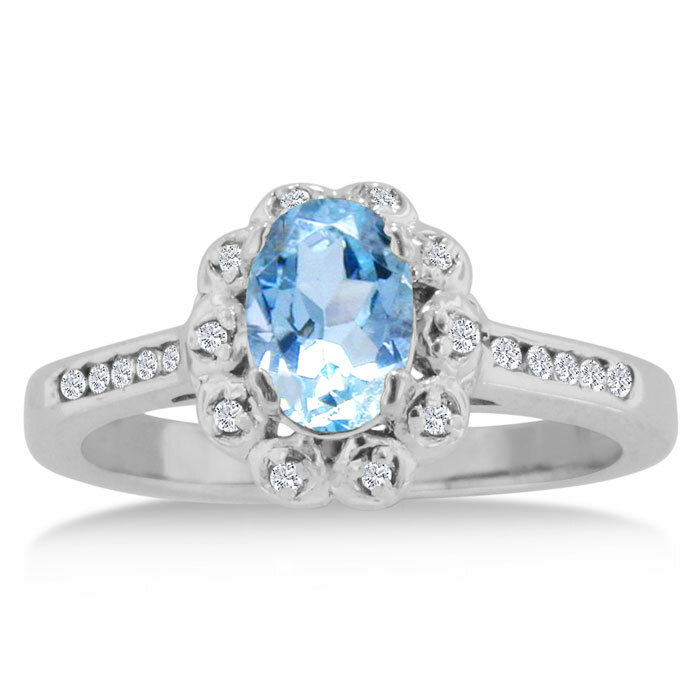 The oval shaped Aquamarine is 1 carat. Total diamond weight is 0.19carats, diamond color is I-J, diamond clarity is I2. Total gem weight is 1.19 carats. Available in ring sizes 4-9.5. 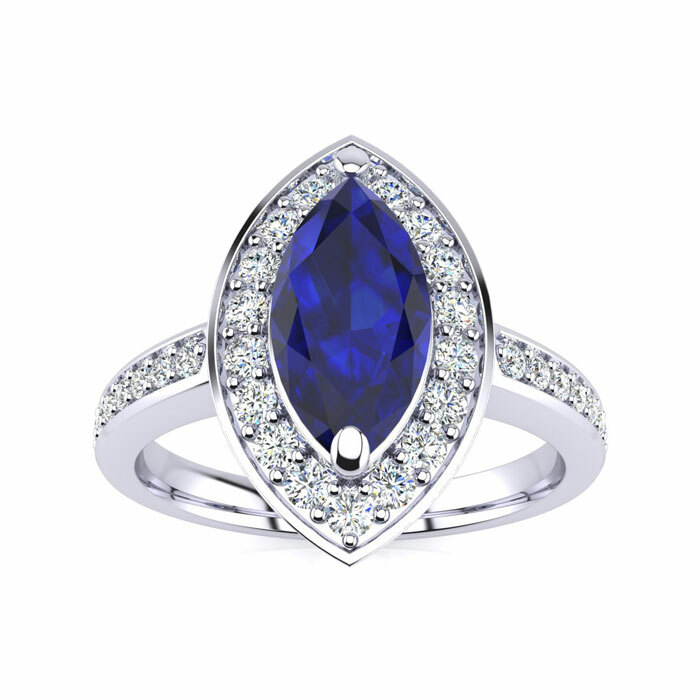 Beautiful oval shaped Blue Topaz and diamond gemstone ring set in 14k white gold. The oval shaped Blue Topaz is 1 carat. Total diamond weight is 0.19carats, diamond color is I-J, diamond clarity is I2. 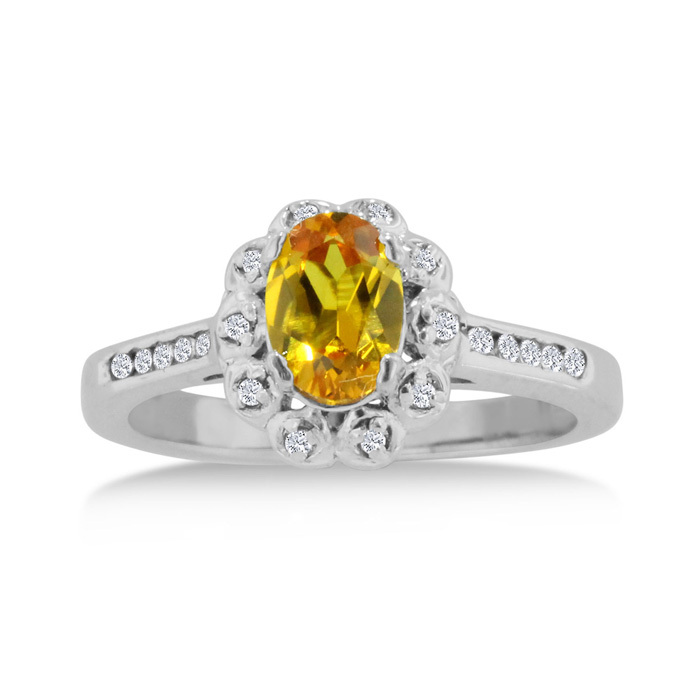 Total gem weight is 1.19 carats. 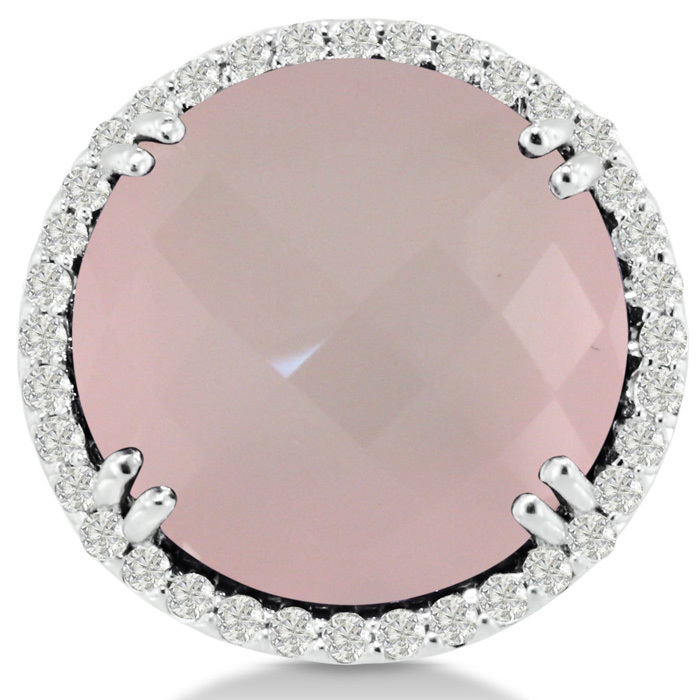 Available in ring sizes 4-9.5. Beautiful oval shaped Garnet and diamond gemstone ring set in 14k white gold. 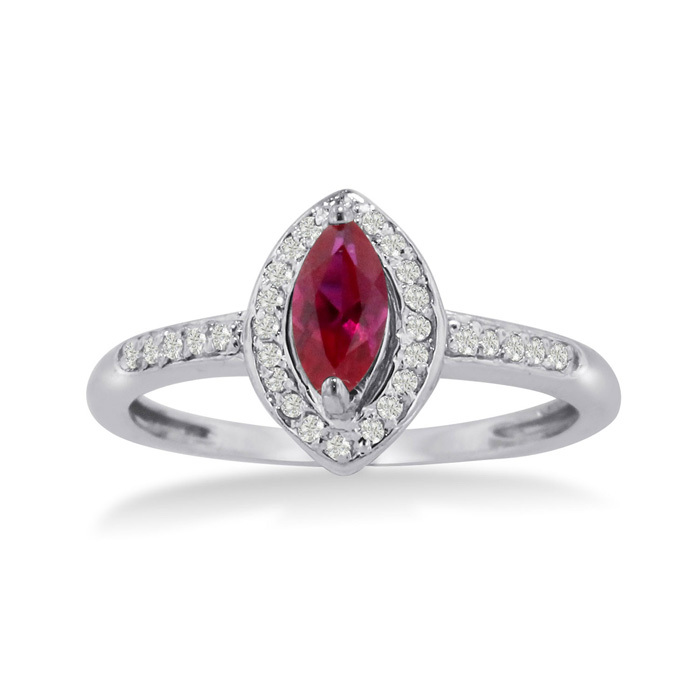 The oval shaped Garnet is 1 carat. Total diamond weight is 0.19carats, diamond color is I-J, diamond clarity is I2. 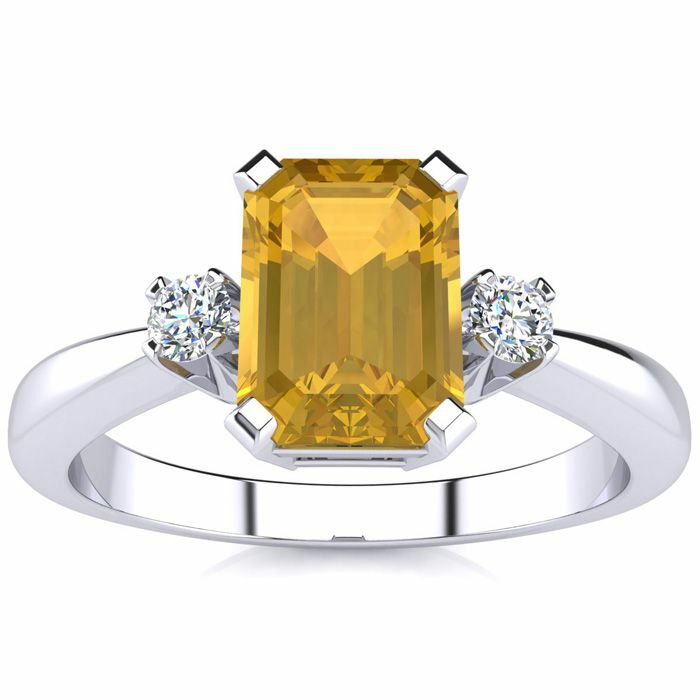 Total gem weight is 1.19 carats. Available in ring sizes 4-9.5.